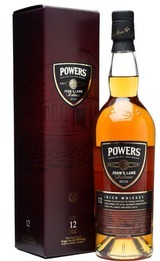 Powers John's Lane Release is a Single Pot Still whiskey that celebrates the origin of the Powers Whiskey tradition and provides a glimpse of the whiskey style that made Powers famous. The distillate has been matured for no less than 12 years, mainly in American Oak casks with a small inclusion of Iberian Oak for balance and complexity and then married to create the distinctive honey and spice flavor of Powers. Nose: An abundance of earthy aromas, leather, tobacco with layers of charred wood, dark chocolate and treacle toffee. Taste: Full bodied spice front followed by vanilla, honey and dried apricot. Finish: Lingering honey sweetness on toasted oak.